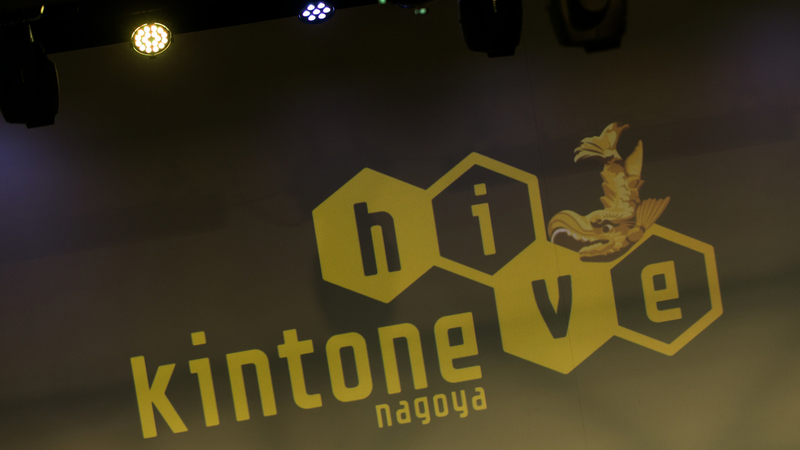 kintone hive Nagoya vol. 1 was held on April 14th, 2017 at the Nagoya International Legend Hall. Please keep reading for summaries of each presentation! Ateam Inc. is a public company that designs mobile phone games. The Administration Division has the job of managing back office operations, such as accounting and general affairs, for the other 4 main departments. Mr. Yajima's main job is to optimize the efficiency of the core systems. He said it was very important that his team be able to develop necessary management tools on-site. He was concerned that if he worked independently it may be difficult for the company to complete maintenance in the future if he were included in future personnel changes. With that in mind, he decided to limit the number of tools he developed by himself. Mr. Yajiima decided to only assist on-site development as a programmer when the team was faced with more challenging tasks as they set out to make operational improvements through kintone. The first main goal was to dramatically increase the efficiency of data management with the core system. There were multiple systems in use, so data was typically shared directly through numerous Excel and CSV files. 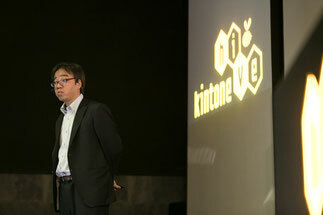 kintone was established as the center of the system containing all master data and integration with multiple APIs. Manual data transfer became unnecessary as data was made reliably accessible. A lot of work became automated. A second goal was to update and optimize outdated workflows. For example, managing orders from a single company was previously a complicated process requiring 5 rounds of processing through Excel worksheets. They only realized how complicated the process was after they began to write it down. 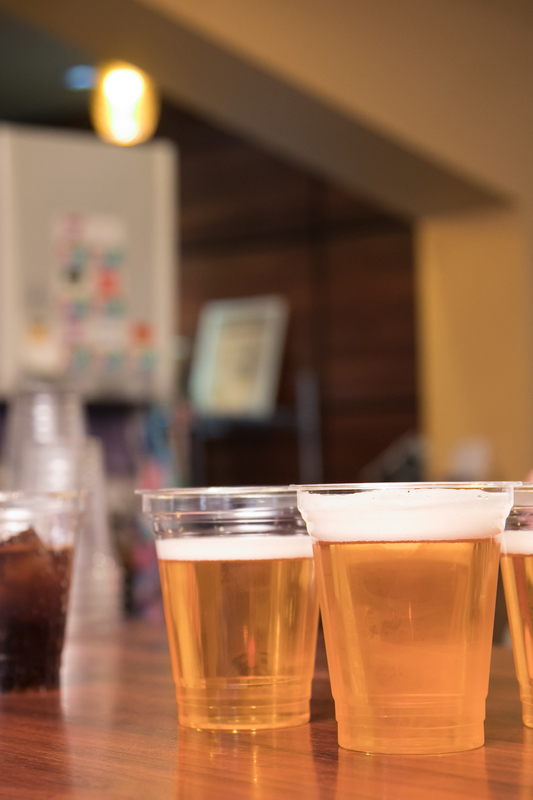 Replacing the old workflow with a kintone app that could manage everything from initial order information through delivery streamlined the entire process. They found it so easy to use kintone and create apps that every app mentioned by Mr. Yajima was created by their own employees on-site. 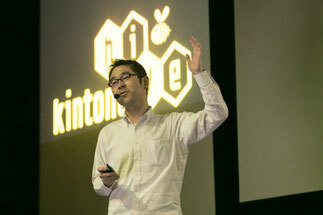 kintone became a means for non-engineers to solve their own problems. Every day they seemed to find new solutions to old problems through kintone. The capacity for internal leadership has expanded significantly. Sentaku Corporation, led by President Sato and Vice President/Designer Matsumoto Takuya has become a company with a workplace environment flexible to the needs of the severely physically disabled. They produce business cards, websites and leaflets. 3 years after the company was founded, President Satou came across kintone after he donated a copy of his book to Cybozu President Aono. 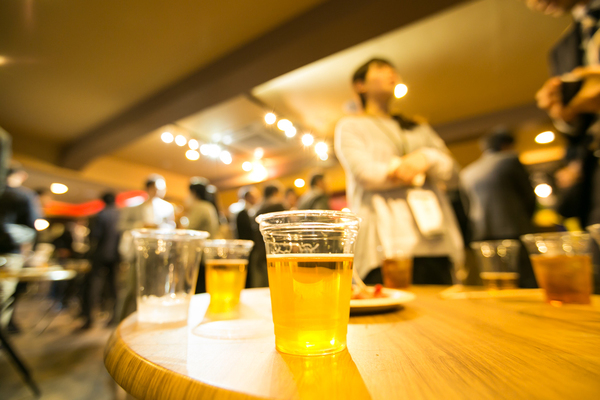 At first, they weren't quite sure what to do with the platform, but on the advice of Kansai Corp's President Keizaburou Aoyama they began to automate internal processes such as timesheets, payslips and wage ledgers. He was surprised by how easy it was to create databases. 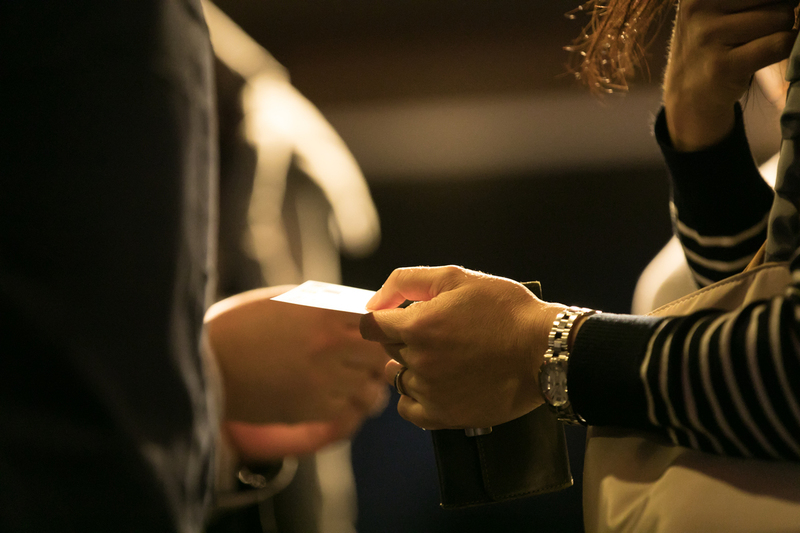 They had heard of a system where local governments could order business cards with a single field and decided to create a similar system on kintone for automated business card development. After some trial and error, they established an effective system by linking kintone with Adobe Photoshop, as well as the Print Creator and Form Creator services. Upon seeing this automatic business card generation system, President Satou came up with the "Sentaku Rangers" initiative. This is a service for creating and shipping business cards that targets people who ordered through the system, have low wages and work for B Type Offices that support disabled people. 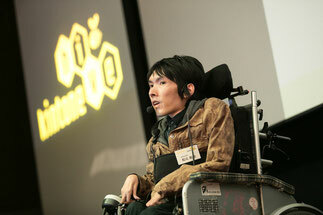 The goal of Sentaku Rangers is to raise wages for the disabled. The system was first introduced to the Tokoname City Social Welfare Work Center. The initiative quickly received media coverage and had over 100 orders placed within the first month, and the Work Center executed everything perfectly. The staff members of Type B offices reported that the initiative helped them gain confidence at work. 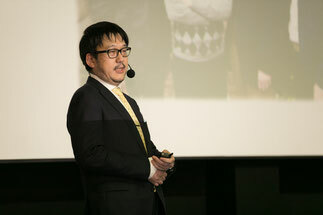 As a closing statement, Mr. Matsumoto stated that "kintone should not be considered just a simple tool for business improvement, it has immense potential to enable the realization of bold ideas." That statement was received with thunderous applause. Geo Holdings operates 1,686 retail stores across Japan that sell products such as DVDs and video games. Ms. Oonishi from the corporate analysis department discussed how they used kintone to optimize their store information submission system. The company primarily operates in 7 different areas across Japan. Each area has one person who manages all store information (such as hours of operation), and each time an edit was necessary, they would have to email an application to headquarters. The main office would then receive these applications, confirm the updated information and upload it to the national server. The issue with this system was that there was such a large quantity of applications being sent that it was easy for them to be overlooked, as they would get quickly buried by other emails. Then it would become time consuming to track down old unresolved applications, especially while receiving other inquiries and processing new applications. The eventual solution was a kintone application for updating store hours. Now, area managers can submit applications, receive confirmation from headquarters, and update information with the click of a button. Through DataSpider, the national server can be updated with kintone so that both systems will always contain the most recent information. Now that it is possible to view a list of all unprocessed applications, these requests no longer get overlooked. The use of the kintone solved many of the problems with the old process. As people now have access to all information online, the main office no longer has to respond to update inquiries or spend time searching for specific emails. The workload was significantly lessened and area staff members were able to work 200 fewer minutes each month. At headquarters, personnel cut 400 minutes of work each month. Further, they were able to connect that application with an application containing property details to further decrease the workload. Centrally collecting all of this information was a huge accomplishment. 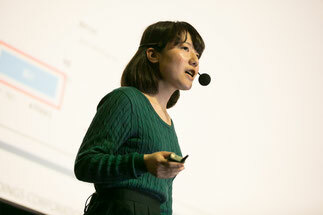 Ms. Oonishi received passionate applause when she announced that at Geo Holdings, the first task for many new hires is to learn to create a kintone app. 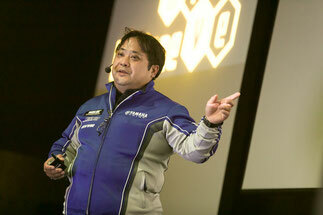 The final main presenter was Mr. Harako from the leading motorcycle producer, Yamaha Motor Company. They explained how they updated their domestic call center systems. The company was working on shifting from a system on the premises to the cloud for both longevity and cost minimization. For those reasons, when the Call Center CTI server required maintenance, they decided to replace the existing system with the cloud based call center system created using a combination of kintone, AWS and Biztel. Initially they were instructed to use specific well known products from overseas, but the costs were extraordinarily high, so Mr. Harako proposed that they use kintone. They created a new call center at the low cost of 15,000JPY/month per seat. In order to make kintone function as a call center customer support system, they requested customization work to be done by a Cybozu Official Partner. This development required only four 2-hour meetings. Previously, the Telephony Infrastructure was unable to keep up with the first center they worked with, and they had similar experiences in constructing other centers. This time, with the infrastructure already in place, they were able to release a system after only 3 months. Because it was quick and easy to develop in comparison to similar products from outside Japan, the total licensing fee was very inexpensive. M-Solutions Inc. is a subsidiary of Softbank Technologies that focuses on developing mobile and robotics applications. 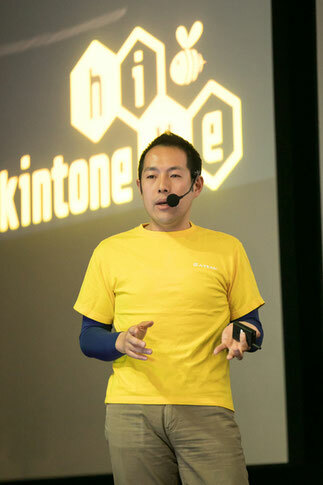 First Mr. Uekusa introduced ”kintone ✕ IoT.” This technology allows for the use of kintone in order to operate drones and robots such as Softbank's Pepper. This has already been used by well-renowned enterprises in construction and agriculture. Next they discussed 3 types of System Integrations. 1st was the Joint-Development SI for customer and meeting management systems by Xebec Technologies. By supporting customers who perform as much system development as possible by themselves, this method can keep costs low while also accumulating internal knowledge. 2nd was Continuing Development. He introduced the Sumitomo Realty and Development Co.'s Construction Project Management System for Optimized Efficiency. They found that the key to developing this system was not trying to complete it all at once, but rather to do it gradually. Every month they would add a little bit more complexity to the system through visualizing workflows, migrating Excel workflows into kintone and doing API mapping activities. This is a popular method for companies who want to develop the systems themselves at a reasonable pace. Third, they introduced M-Solution's new automatic migration tool for moving data from NotesDB to kintone, called "Smart at migration." Shiseido's research center has used this to transfer workflows. 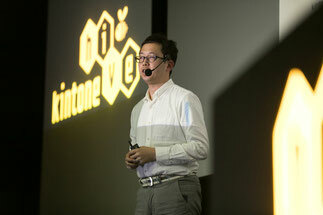 The presentation was finished with the annual surprise launch of an original plugin that is free with kintone hive attendance. Collabo Style is a specific workflow manufacturing company that aims to work within the bounds of Japanese corporate culture. Mr.Kono hosts the Nagoya branch of kintone Cafe. kintone Cafe is a fun educational event targeting professionals who have had little experience using kintone so that they can understand the potential of the platform. 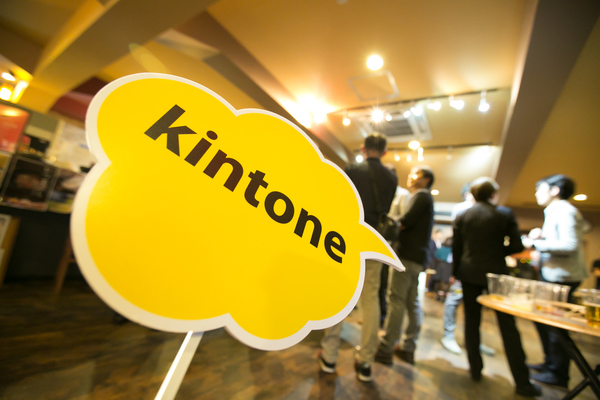 There have been 132 kintone Cafe events in 29 Japanese prefectures and 4 countries. Mr. Kono spoke about the benefits of participating in this community. He mentioned 3 main points - knowledge acquisition, business expansion and networking. According to him, a healthy community has "LOVE!" 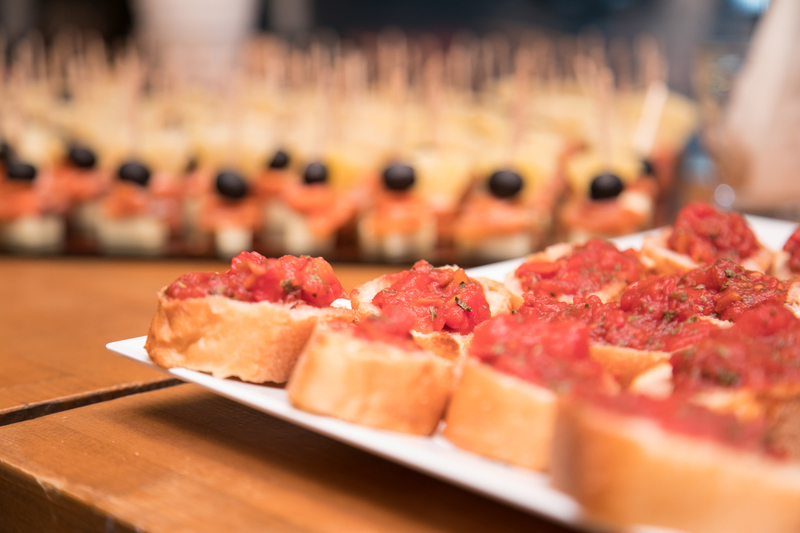 The people who participate in these events often have a genuine love for the product and want to make good use of it. Producers highly value having such a vibrant community. Therefore, Collabo Style is expanding, finding entrepreneurial members and encouraging further innovation, in order to bring positive changes. 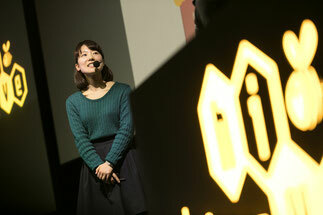 Naturally, the presentation ended with the extension of an open invitation to attend kintone Cafe Nagoya. Satirise Inc. is a company that has a one stop System Integrations service for Cybozu's products. Mr. Yamada introduced a Maps API that can be used to inexpensively link kintone to a maps service. If kintone is linked with a maps service, it becomes possible to acquire exact customer location via GPS to show coordinates, addresses and display their location alongside other nearby customers on a map. When people hear the words "online maps service", the first thing that comes to mind is Google Maps. If you want to embed google maps in an internal application, you need to acquire a Premium license for an additional fee. In those cases, he advises using a service called "Itsumo Navi," by Zenrin, which is a guidance service API designed specifically for use only with kintone. With this service, the cost is a reasonable 10,000 JPY for up to 10,000PV each month. Similarly to map services, by using the same API technology, it is possible to use services such as a postal code lookup service, or Google Calendar and Twitter. JOYZO provides a kintone specific SI service. Mr. Shinomiya is so knowledgeable about the platform that he is also referred to as "Mr. kintone." 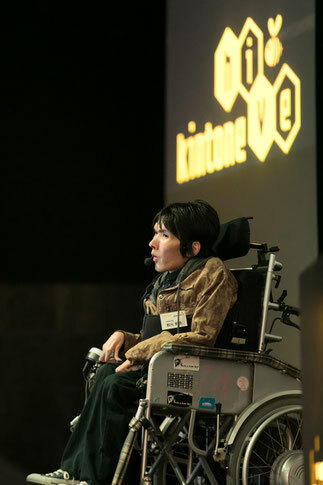 During his presentation he introduced 3 basic kintone functions that he believes everyone should know. First was the capability to connect two character strings. For example, this may be useful if you want to record a title and location in a calendar, but you can only select one field to be shown. In such a case, we use the automatic calculation function in the settings of the "Title" field. Then, select the two field codes you wish to show and connect them with the "&" symbol to display both simultaneously. Second, while using a seminar participant registry application, you can automatically tally the total number of participants. 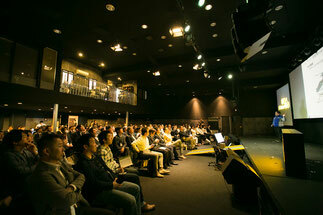 If kintone knows who will be attending the seminar, it can count how many people will attend the event. In this case, add a numbers field called "Participating," and set the initial value to 1. Then, make use of the SUM function in the automatic calculation field in order to show the total number of attendees. Third was a task management function. Through threads, you can communicate effectively through kintone to effectively give instructions. In these cases, it can be helpful to use the thread action function to turn a comment into a record within a task management application. JOYZO shares various kintone solutions such as these on their blog. 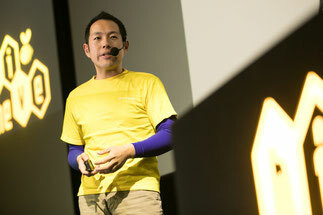 Mr. Shinomiya hopes that everyone will take a look at their blog when they have trouble. 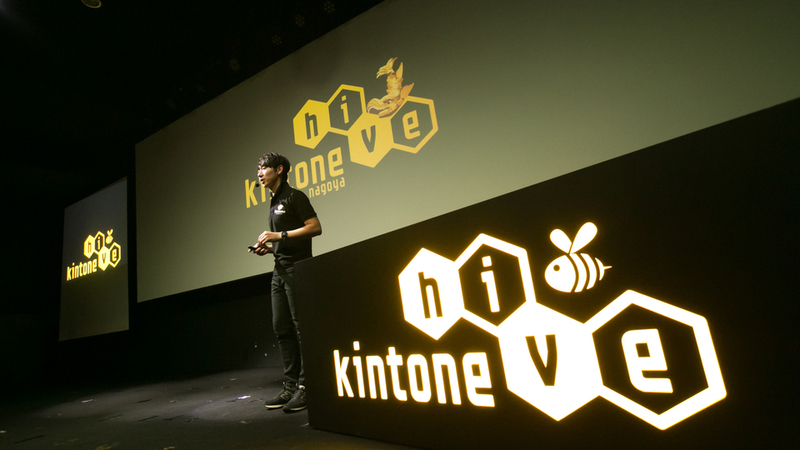 Thank you to everyone who attended kintone hive nagoya vol.1!